Webinar Registration - NYCRR: A Cybersecurity Regulation You Must Comply! 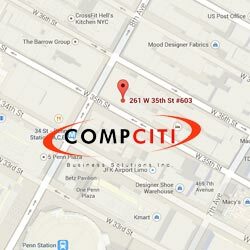 - CompCiti Business Solutions, Inc.
Webinar Registration – NYCRR: A Cybersecurity Regulation You Must Comply! Thank you for your interest in our upcoming Webinar! Please fill out the form below to register, and we’ll contact you with the login details.